A New York Times Critics’ Pick! Already know you want to order? Click here to download the order form. They wiggled, they jiggled, they wore low cut gowns and short shorts, they kowtowed to the club owners and smiled at the customers…and they did it all just to play the music they loved. In the thirties and forties, hundreds of women musicians toured the country in glamorous All-Girl Bands, while others played side by side with their male counterparts. Yet, by the mid-fifties, female jazz musicians had literally disappeared from the workplace, their names and their contributions to music completely forgotten. Today, there is a new breed of gifted young women taking their rightful place in the world of jazz, which can no longer deny their talents. The film has been of great interest to the general public and has garnered multiple awards and terrific reviews (including a Critics’ Pick from The New York Times). 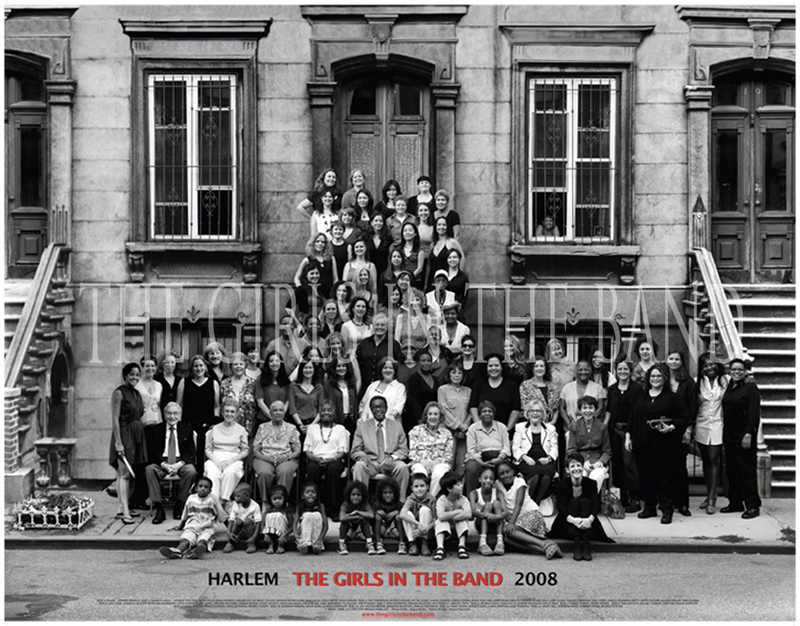 Now THE GIRLS IN THE BAND is available in an educational version designed for use in college and high school classes, libraries, afterschool programs, youth groups, festivals, and community events. Because these incredibly talented women overcame sexism and racism and flourished in the midst of diminished opportunities for decades, THE GIRLS IN THE BAND is the perfect film to highlight Women’s History Month, African American History Month, and Jazz Appreciation Month! ♦ BREAKING THROUGH, a twenty-track collection of recordings by both historic and contemporary women musicians. To see a sample of the Discussion Guide bonus clips and a two-minute trailer of the film, please scroll to the bottom of this page. Both versions include use of all materials for classrooms, as well as the rights to screen the film for the life of the DVD on your campus or library grounds. This Education Project and Platform is one of the most comprehensive compilations of information ever developed about female musicians and their historical context. By making this project available, you will, for years to come, have a means of informing your students and/or community about the role of women in music, and how that role affected everything around them. Join THE GIRLS IN THE BAND family now! Ready to order? Fill out the order form, then email, snail mail, or fax it back to us!